Meet the colourful array of lost souls, earthbound spirits, and troubled (or troublemaking) entities that spirit wrangler and psychic clairvoyant Anson V. Gogh has encountered in her years of working with the dead. There's Pool Hall Jenny, a personable and vivacious spirit who doesn't want to leave the neon and the nightlife. Ida Mae, a powerful and magically skilled ghost, is determined to destroy her former daughter-in-law's life. The chivalrous and polite Men in Gray are the spirits of Confederate soldiers awaiting their next orders. In this fascinating collection of true stories, Gogh shares her most interesting, difficult, and unusual cases. Helping an escaped slave reunite with his family, finding justice for a young girl murdered in 1896, even crossing over a group of souls at Wal-Mart - it's all in a day's work. 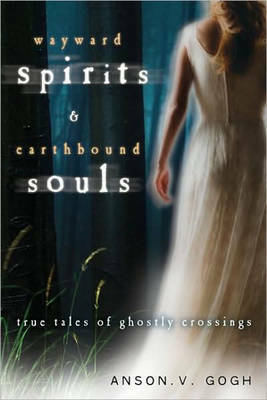 "Wayward Spirits and Earthbound Souls" also includes advice that readers (whether psychic or not) can use to help lost spirits cross over to the other side. Anson V. Gogh (Kentucky) has been helping wayward spirits cross over to the other side for more than ten years. This is her first book.